This case concerns an application to set aside a consent order dismissing an application, on the grounds of duress. There were two boys; aged 14 and 12. Their father was born in Iraq but later became a British citizen. The mother was British. After the parents’ marriage broke down, the mother remarried and had twin daughters. The boys lived with their father. This was initially in England but then later in Iraq in 2016. Both parents and all four of the children travelled to Kurdistan in July 2016. The mother and children believed this was for the purpose of a holiday. Return tickets were purchased. The father however later stated the boys would remain in Kurdistan with him. When the mother returned to England with her daughters she made an immediate without notice application in person, for the two boys return on 18 August 2016. At the time of the application it was accepted that the boys were habitually resident in England and Wales so the court had jurisdiction. On 19 August 2016 a passport order was made for the father to surrender his passport to the tipstaff, and any other documents that would enable him to leave the jurisdiction. He was also prohibited from taking any steps to obtain documents to enable him to leave the jurisdiction. The boys were ordered to be returned to England and Wales and were made Wards of court. The father did not return the children to the jurisdiction. There were then a number of hearings although the father only attended one. Following that hearing he managed to return to Kurdistan on the Eurostar and travel through Europe using his driving licence which hadn’t been surrendered. By the time of a further hearing on 13th September 2016 the mother had filed two statements claiming that she wished to withdraw her application. These had been sent via the father for his approval. The second statement was following a telephone call from the father. The mother later stated he had made threats to remove the children to another place from which the boys could not be communicated with or located. The mother took this threat very seriously. She appeared in person before His Honour Judge Jordan and confirmed she wanted her application to be dismissed. The father did not attend but was represented. The proceedings were then dismissed. Shortly afterwards the mother instructed solicitors and claimed she had been under ‘powerful duress’ when she applied for the proceedings to be dismissed. Several hearings followed with many attempts by the court to secure the fathers attendance at court, including confirmation he would not be punished for breaching four previous court orders. He still failed to attend but was represented. A Guardian was appointed for the children but was only able to speak to them by phone. At the hearing on 16th May 2017 considering the matter of duress, the father, who had again failed to attend, tried to communicate with the court via video link but this was problematic. The judge continued to try to secure the fathers return to the UK to attend a hearing. The father made it clear that he would not attend unless there was reassurance that the children would not be ordered to return to England and Wales. The court clearly could not make this promise. Mr Justice Holman heard from the mother and found that the fathers threats were convincing and credible and of a “powerful kind, coming only short of a threat to kill a child “. He felt they had a “continuing coercive force, from which the mother could not achieve any safety or release “. He contrasted this with threats to the physical safety of a victim, which could, he stated, be mitigated by seeking some form of protection or refuge. He commented that the mother felt there was nobody whom she could rely on to protect her, and the court had to date shown itself to be powerless to protect the children in Iraq; let alone if the father moved the children. The dismissal order of 13 September 2016 was set aside on the grounds of duress. Proceedings were immediately reinstated on the same jurisdictional basis. Had proceedings not been reinstated at that point, it was arguable as to whether or not there would be jurisdiction for fresh proceedings, as the boys had been in a different jurisdiction for a significant period by that time. Within the judgement is an excerpt from the transcript of the hearing on 13th September 2016, when the Judge was exploring whether the mother was serious about withdrawing her application. Judge: The file shows that you have had mental health problems in the past. Mother: Yes Judge: I have to check that you have a clear capacity and understanding as to what you are saying to the court, all right, and that you have insight into what is being said. Are you clear that your statement of 3 September, you stand by that? Mother: yes [the mother becomes upset] Judge: you seem very upset. Is there anything you want to say to me? Are you under pressure to agree to this? Is this of your own free will? Mother: Yes. Yes it is Judge: I have to take what you tell me at face value. Mother: yes it is. Judge: are you sure? Mother: yes Judge: you are crying. Mother: I am just a bit emotional. Judge: All right. Do you need to speak to anybody? We have a PSU unit here, personal support unit. Mother: No thanks. The transcript went on further to clarify the mother understood the effect of withdrawing her application. Looking at it in retrospect, it seems clear that the mother was distressed regarding her application but firm in seeking dismissal, which she later claimed was due to her strong belief in the threats made by the father. Whilst this was a clear case for setting aside the order on the grounds of duress, the Judge did not seek to circumscribe future criteria for duress in family cases. He did state as a minimum “the pressure must be deliberately imposed by the other party and it must have the element of illegitimacy “. Duress must be “operating upon the mind of the victim so as to destroy the victims own free will “. 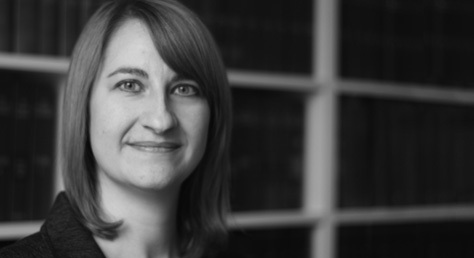 If you require advice on any related issues, or any area of Family Law, please contact our Patricia Beckett.